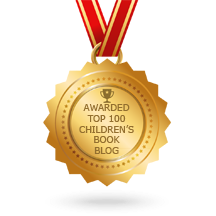 Louise and I are fans of Sarah Albee's nonfiction books for children and teens. Albee's descriptive writing style has just the right amount of humor and a conversational tone that hooks readers while teaching them about history and science. 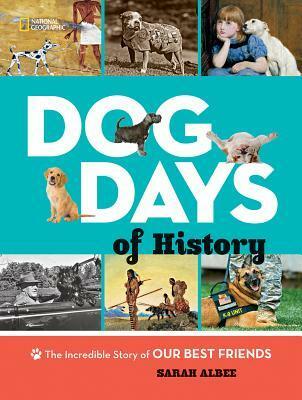 Albee's latest book, Dog Days of History, delves into the history of domesticated dogs. The survey-style book is organized chronologically and is packed full of information about everything dog. Readers will learn about Ancient Egyptian dogs that pulled carts and hunted with their owners, dogs from the Middle Ages that were resistant to the bubonic plague and Puritan dogs that kept their owners' feet warm during church services. There are also sections about military dogs, explorer dogs, political dogs, service dogs and celebrity dogs. Photographs and artwork are effectively placed throughout the chapters and illustrate the different breeds as well as historical periods and events. As with her other nonfiction texts, Albee's research is impeccable. The bibliography spans three full pages in addition to a page of source notes. 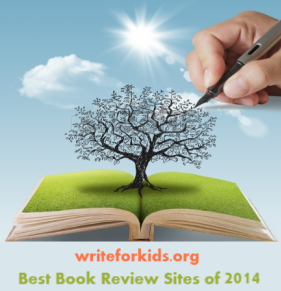 An author's note, a list of recommended websites and a note about research are also included in the back matter. Dog Days of History is a recommended purchase for school and public libraries, classroom collections and as a gift for dog-lovers of all ages. I had the pleasure of meeting Sarah at the Gaithersburg Book Festival last month, and I am the proud owner of a signed copy Can't wait to read it!